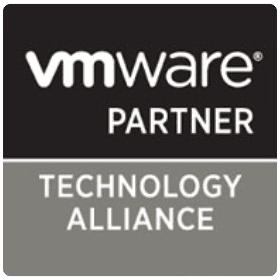 Vembu is the Technology Alliance Partner(Elite) of VMware which is one of the most popular virtualization environments across the globe, offering benefits of minimal downtime, better resource distribution, easier manageability and cost savings to businesses. Vembu provides backup and recovery of server virtualization like VMware vSphere hosts and vCenter servers. Vembu uses vStorage APIs to provide host-level backup to protect vSphere and vCenter environments thereby providing agentless backups for VMware, VM Replication for high availability, Quick VM Recovery for instant boot of VMs, VMware Hot-Add and SAN transport mode for LAN free data transfer, CBT enabled incremental data transfer, application-aware image backups and much more. Additionally, Vembu supports the latest version of VMware vSphere v6.7. 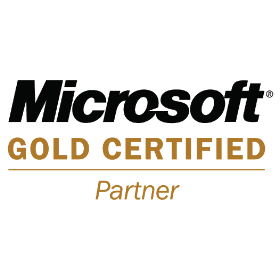 Vembu is a Gold Certified Partner of Microsoft and when it comes to hosts, Vembu supports backup of Microsoft Windows Server Hyper-V 2016, Microsoft Windows Server Hyper-V 2012 R2, Microsoft Windows Server Hyper-V 2012 & Microsoft Windows Server Hyper-V 2008 R2 and when it comes to platforms, Vembu supports backup of latest Windows Server 2016 additionally supporting Microsoft Windows Server 2012 R2, Microsoft Windows Server 2012 R2 Core, Microsoft Windows Server 2012, Microsoft Windows Server 2008 R2 and Microsoft Windows Server 2008 R2 Core. Since APIs are not provided by Microsoft to backup vendors, Vembu has developed a proprietary driver to backup Hyper-V VMs in an efficient manner especially with up to 5X improvement in performance over other backup softwares. Vembu provides host-level, advanced, agentless Hyper-V backup thereby providing support for Hyper-V Cluster Shared Volumes, provides Quick VM recovery & application-aware image backups and additionally Hot VM Backup ensuring zero VM downtime. Multiple recovery options provide business continuity to Hyper-V environments and in-house file system of Vembu provides efficient storage management to the data centers deploying Hyper-V environments. Vembu also offers simplified Backup and Disaster Recovery solution to backup Windows Servers and Workstations running in physical IT environment. It does a backup of full physical Windows servers, Desktops and Laptops including operating system, applications and data. Vembu also provides Cloud-to-cloud backup of Office 365 including OneDrive for business and additionally, Vembu BDR Suite provides backup and disaster recovery solution for the IT administrators running their workloads on Microsoft Azure VMs. Vembu is the Technology Partner of Amazon Web Services Partner Network, which is one of the leading public cloud vendors offering computing, storage and many other services with high availability, scalability with advanced security. Vembu leverages the AWS solutions to provide secure backup of business critical data to our cloud hosted in AWS. Vembu provides backup and disaster recovery solution for the IT administrators running their workloads on AWS EC2. It helps IT administrators to backup the AWS EC2 instances to other AWS regions or other public clouds or to their data center. Vembu also provides secure Cloud-to-cloud backup of SaaS applications like Office 365 and G Suite leveraging the highly compliant and the broad infrastructure services of Amazon. Vembu is the technology partner of Red Hat, which is providing software products to the enterprise community thereby offering virtualization, storage, operating system platforms, middleware, applications, management products, and support, training, and consulting services. As a part of our long term collaboration with Red Hat, we provide backup solution to users of Red Hat Linux Operating System. With Red Hat as technology alliance partner, we have gained access to a wide variety of resources ranging from communities, information, software, and other tools, through which we are able to provide world class products and services to the Red Hat users across the world.